Trinitarians believe that Jesus intercedes with the Father on our behalf. He can do this because he is a distinct person, and he is the only competent mediator because only God can truly mediate with himself. If God is not multiple people, how can Jesus intercede with the father? How do modalists understand the role of Jesus as mediator? The ancient modalists were condemned heretics such as Noetus, Sabellius, and Praxeas. We don't have much record of their own writings, and what we do know of them is based on what men like Tertullian and Hippolytus wrote in response to them. So we know very little of their actual theology. In modern times, Oneness Pentecostalism has revived modalism. Though some of them reject the term modalism, many do not, and it's just about universal that that's exactly what they teach. Note that Unitarianism is the opposite heresy. Oneness believers say that the Father, Son, and Holy Spirit are all the same person, while Unitarians say that only the Father is fully God. Yes, Jesus is our mediator. I think different Oneness adherents have different understandings of this. Some would say his mediatoral role is limited to the crucifixion. Others, such as myself, would say that role, while based on the atonement, is ongoing and will continue until the consummation of all things. This is no more problematic for our position that the issue of Jesus' communication with the Father while on Earth. The response is the same to both. For more information on how I understand the Father-Son distinction, see Avoiding the Achilles Heels of Trinitarianism, Modalistic Monarchianism, and Nestorianism: The Acknowledgement and Proper Placement of the Distinction Between Father and Son, A Oneness View of Jesus' Prayers, and Jesus' Prayers: It Doesn't Take Two Persons to Tango. Dulles seems to summarize the differences between various Oneness views pretty well. His own views are rather unusual within that schema (positing two minds within the Godhead), but you can see a fuller discussion of them by accessing the revision history for this post. Other Oneness theologians I contacted are consistent with each other in how they understand Jesus' role as mediator, though as Dulles said, they demonstrate disagreement over how "intercession" is to be understood. 1 Timothy 2:5-6 says, 'For there is one God and one Mediator between God and men, the Man Christ Jesus, who gave Himself a ransom for all....' From a Oneness perspective, we point out that the Mediator is specifically identified as 'the Man.' This agrees with Colossians 1:21-22, which says, 'And you, who once were alienated and enemies in your mind by wicked works, yet now He has reconciled in the body of His flesh through death.' Clearly the mediation and reconciliation between God and men was accomplished by means of the death of the Man, Jesus Christ, on the cross. We see the crucifixion as the once and for all intercession. We do not believe the Man Jesus is continuing to intercede in a literal way. We also believe that the Man who was crucified was God the Father in the flesh. We can make a distinction between God and His humanity, but we never want to think of them as two separate beings. But in other ways, they agree with Dulles and the other theologians I contacted, all of whom believe that Jesus still intercedes for the church. Of course, in my view, the term "Mediator" usually refers to someone fulfilling a designated role or position rather than necessarily dictating a discrete, substantive individual. We can admit that a "mediator" is a "mediator" between two parties, but, as Paul wrote, we must still conclude that "God is One" (Gal. 3:20). It must be, then, that God has "mediated" through His incarnation as the Messiah. "God was in Christ": that is the incarnation. The "mediator" is the "man Christ Jesus" and not a second divine person as some would have it. Notice in this passage [1 John 2:1-2] that Jesus is identified as the "Paraclete" by John, who also wrote the Gospel of John, where Jesus promises, after his earthly demise and resurrection, the coming of the "Paraclete". Oneness teachers identify Jesus as the "Paraclete" (that is, the Spirit of Christ is the Holy Spirit". Paul affirms that in teaching that there is "one Spirit" (Ephesians 4:4). And so we would see if there is any post-resurrection "mediation" is will be done by the Spirit of Christ (the Holy Spirit). Again, "mediation" seems to refer to the earthly ministry of the Incarnation (God the Father manifested in the flesh), while "intercession" is again accomplished by the risen Christ (who is God the Father manifested in the glorified flesh). In short, the terms "mediator", "intercessor", "reconciliation", when expressed in relation to the exigencies of the "incarnation" (enfleshment of God the Father), who now subsists as the Eternal Spirit in the glorified Man Christ Jesus, in a substantive henosis or union. In my view He is intercessor or mediator because He is the door (John 10:9). No man comes to the Father but by Him (John 14:6). I do not believe that He needs to go a talk to the Father on our behalf as some other person of a Trinitarian Godhead, for all power was given to him in heaven and in earth (Matthew 28:18). God needed to come to redeem man unto himself (Titus 2:13,14). The annual shedding the blood of bulls and sheep could not redeem us (Hebrews 10:4). Therefore the scripture says that God redeemed us with His own blood. God did not send someone else to pay the price for sin, He came Himself. Being a separate person is unnecessary for mediation. The game-changer of the incarnation accomplished enough on its own. I believe each of them would affirm this statement whole-heartedly, with the possible exception of Dulles, who would give it a bit more nuance. Mr.Bultitude's answer is correct that a distinct person is unnecessary for mediation. In the original Nicene creed (325) they conflate hypostasis and ousia as identical. But those who say: 'There was a time when he was not;' and 'He was not before he was made;' and 'He was made out of nothing,' or 'He is of another hypostasis' or 'ousia,' or 'The Son of God is created,' or 'changeable,' or 'alterable'—they are condemned by the holy catholic and apostolic Church. Last part from the original Nicene creed (325). Even St. Jerome prefer Greek word prosopon rather than hypostasis to describe the distinction between Godhead. This is because early Christians were transitioning from Miahypostasic into Diahypostatic and later Trihypostasic Triadology. Sabellius for example while championing Miahypostatic Triadology didn't confuse the Father from the Son by rejecting Theopaschism. That when the Son was crucified on the Cross the Father didn't suffer. It's the Son alone as the one mediator between God and man who suffered and died on the Cross not the Father. We need to remember that prior from 362 St. Athanasius still conflate hypostasis and ousia as synonym. This is why historically speaking Arians accused Nicene council to be a Sabellian council. The role of mediatorship of Christ rested solely on incarnation and nothing else. If the whole Godhead incarnate then the Father suffered on the Cross and then Christ's mediator role would be jeopardized. Sabellius overcome this by distinguishing the Logos as anhypostasis who is being enhypostasized by the Father. By distinguishing the Father from the Son, Sabellius evaded Theopaschism. Because of this the role of Christ as mediator in Sabellianism is indistinguishable from that of Nicene Christology. The story will be completely different with other groups within Modalism. Other groups unlike Sabellius don't consider the Logos as a distinct mask but simply God's impersonal power. Because of this, when Christ died the Father suffered. This forfeited the mediator role of Christ. Not the answer you're looking for? 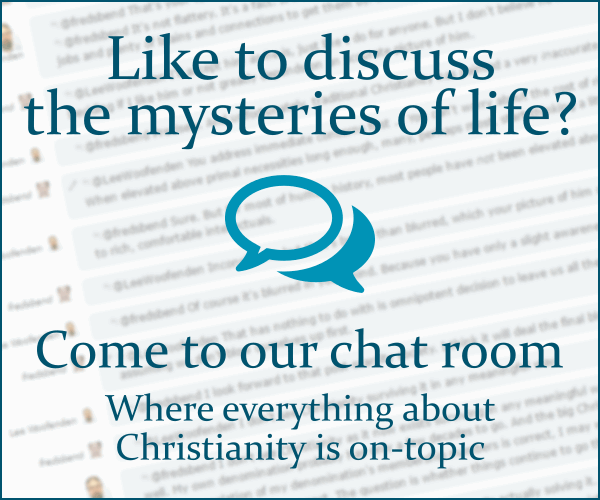 Browse other questions tagged christology mediator modalism or ask your own question. How is 1 Timothy 2:5 interpreted relative to the Mediatrix concept? How do Trinitarians reconcile Jesus is a spirit? What do non-trinitarians mean when they call Jesus the “Son of God”? How do Modalists interpret John 14:28? How do Modalist and Oneness Pentecostals interpret Revelation 3:12? How does the Jehovah’s Witness view of who Jesus Christ is differ from Protestant Trinitarian Christology?